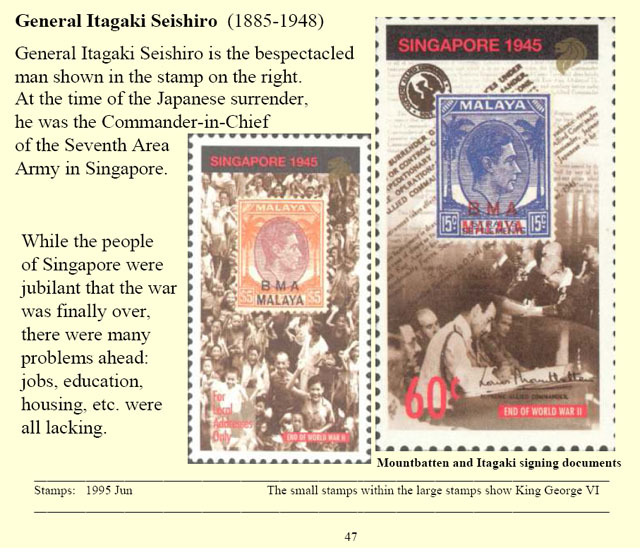 General Itagaki Seishiro is the bespectacled man shown in the stamp on the right. At the time of the Japanese surrender, he was the Commander-in-Chief of the Seventh Area Army in Singapore. While the people of Singapore were jubilant that the war was finally over, there were many problems ahead: jobs, education, housing, etc. were all lacking.